Give Your Soon-To-Be-Born Son Or Daughter The Welcome They Deserve! Are you going to be the parent of an adorable little boy or girl? Congratulations! Everything You Need For An Amazing, Unforgettable Baby Gender Reveal Party! 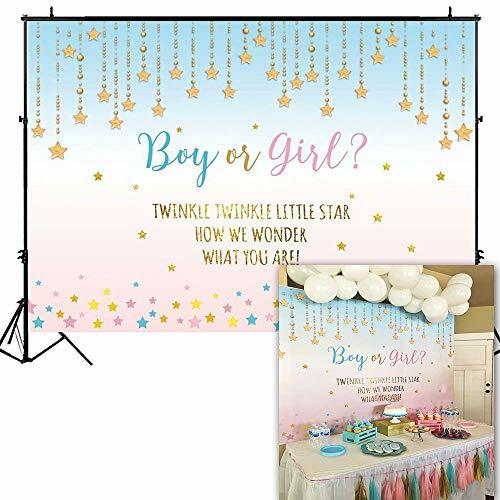 Designed to give you an unforgettable baby gender reveal party, this baby gender reveal poster set is a must-have for every soon-to-be parent. 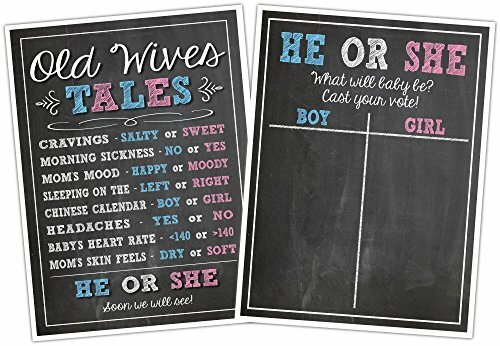 Have fun with your friends, family, and loved ones recounting the old wives' tales and folklore, try to guess the baby's gender, vote or take bets, and record everyone's guess on the poster. Then, make the grand announcement, and see who got the baby's gender right! Our baby gender reveal party poster sets are guaranteed to give you and your loved ones a party you'll never forget! So, What Are You Still Waiting For? Order Your Own Katie Doodle Premium Baby Gender Reveal Party Poster Set! Just Click "Add To Cart"! Do You Want Your Baby Gender Reveal Decor To Stand Out? 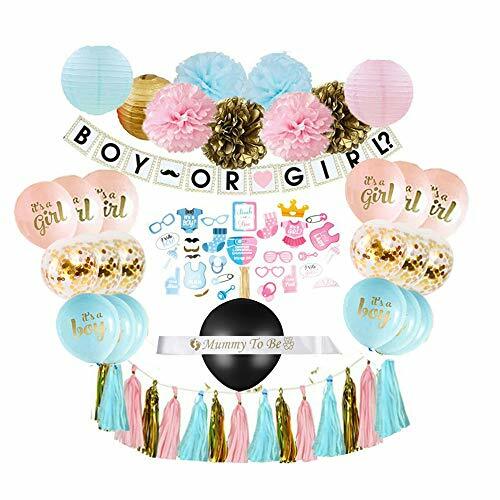 Then get this pack of 36 gender reveal party decor kit by Fengrise and place them all around your space! 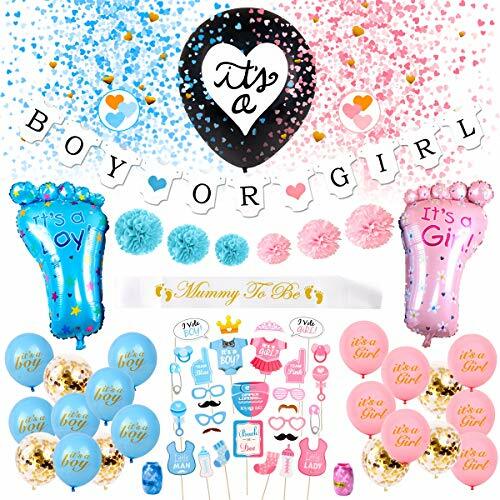 what you will get : 1 pcs 36 inch black balloons 1 pcs "BOY OR GIRL" banner 1 pcs "Mummy To Be" sash 1 pcs blue "It is a Boy" balloons 1 pcs pink "It is a Girl" balloon 3 pcs blue paper pom poms(8",10",12") 3 pcs pink paper pom poms(8",10",12") 1 pack pink paper confetti 1 pack blue paper confetti 1 pcs pink ribbon 1 pcs blue ribbon 7 pcs 12" blue latex balloons 7 psc 12" pink latex balloons 30 pcs photo booth Start Planning your Honey Gender Reveal Party Today! Don't waste another minute! 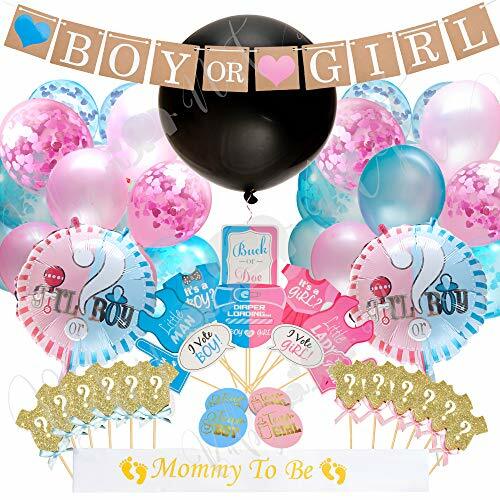 Place an order and get our gender reveal decorations before they vanish! 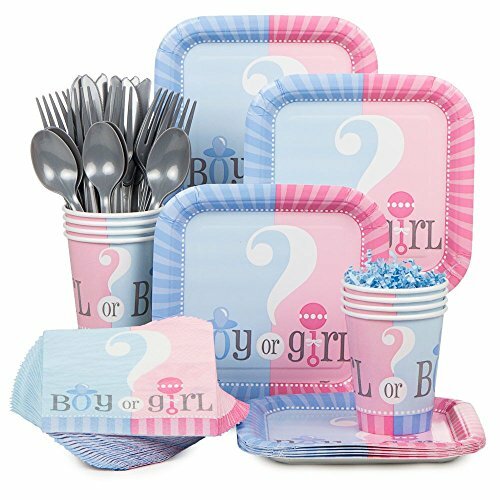 Trust us, your guests are going to love the gender reveal party supplies set, and they will be the perfect prop for the gorgeous party pictures! Scroll Up And Click "Add to Cart" NOW! We are the original designer of this gender reveal set.This is the ultimate and complete decoration package for your gender reveal party! 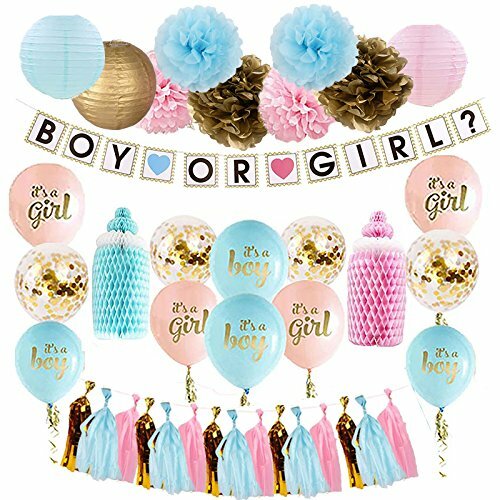 Our product includes the following items: -1 "Boy or Girl" Banner -1 Garland Paper Tassels ( 5 Blue, 5 Pink, 5 Gold) -3 Lanterns (1 Blue, 1 Pink, 1 Gold, 10 inches) -2 Pom Poms Blue, 10 inches -2 Pom Poms Pink, 10 inches -2 Pom Poms Gold, 10 inches -1 Blue Baby Bottle, 12 inches -1 Pink Baby Bottle, 12 inches -4 It's a Boy, Blue Balloons, 12 inches -4 It's a Girl, Pink Balloons, 12 inches -4 White Gold Confetti Balloons,12inches Thrill the parents to be and your guests by using our decorations to create the ultimate atmosphere of anticipation and celebration at your party. CLICK "Add to Cart" and get yours today! Reese's Peanut Butter Miniatures Chocolate Candy, 40 Oz.